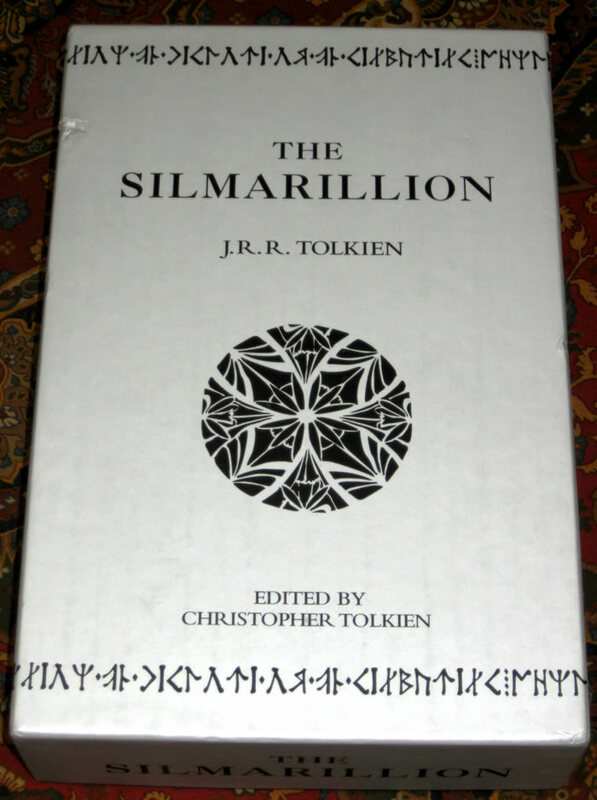 The Silmarillion Limited Collector's Box, published by Harper Collins in 1999. 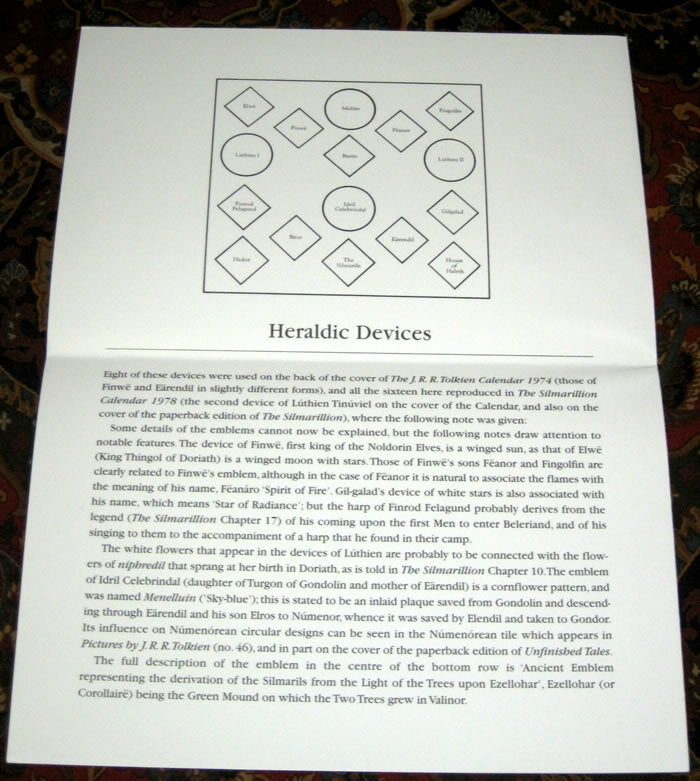 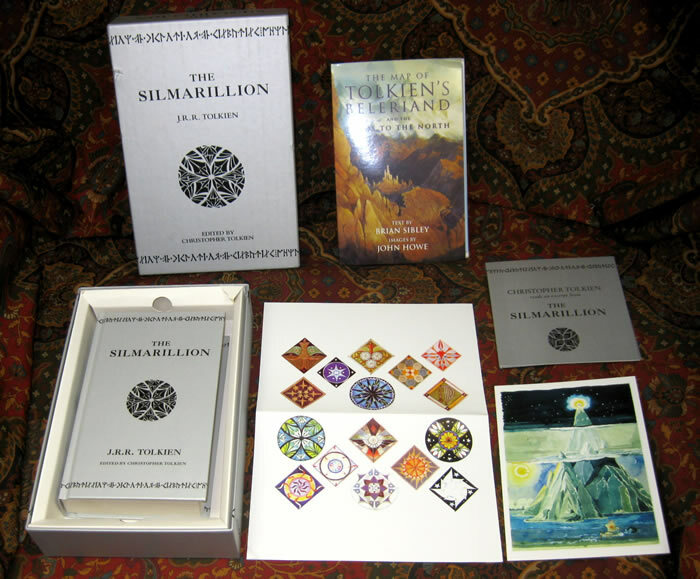 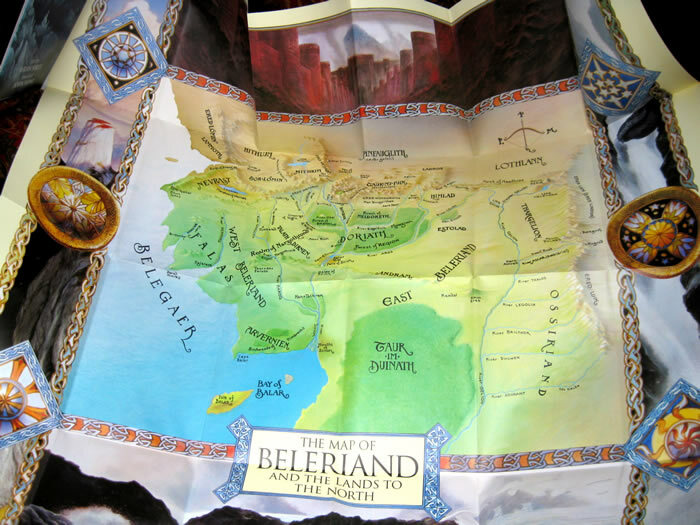 This set contains a hardcover edition of The Silmarillion, a full color map of Beleriand by John Howe with a booklet by Brian Sibley which details the background to The Silmarillion, a color postcard featuring Taniquetil, a full color fold out sheet featuring Tolkien's own depiction of heraldic devices with explanatory notes, and an exclusive CD of an archive recording from 1977 of Christopher Tolkien reading the legend of Beren and Luthien, never previously available. 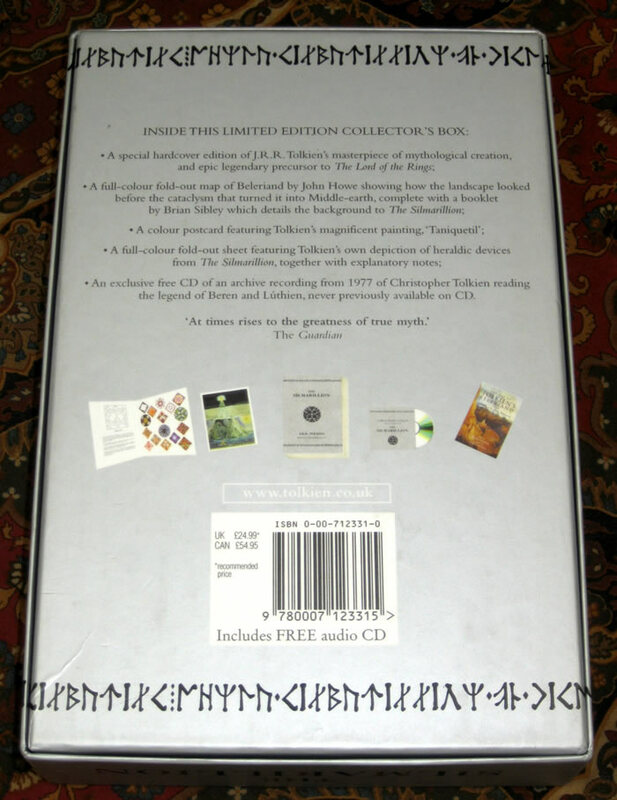 The box shows a bump and minimal damage to one side, and the two upper corners of the tray show a closed tear. 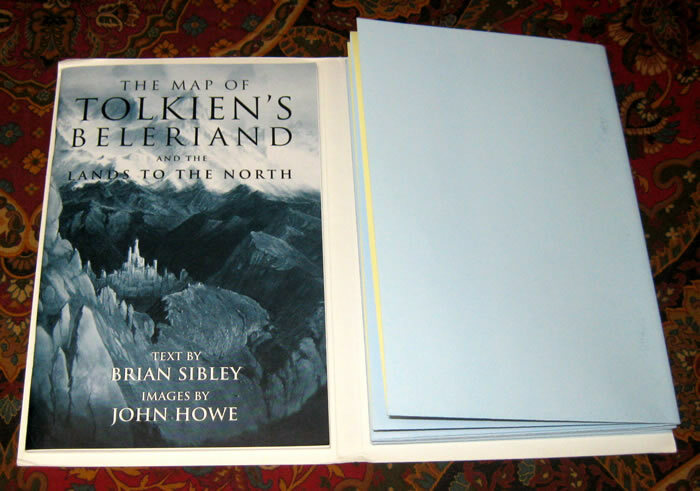 The book and all the other items appear to be unread and in Near Fine condition.